The Indiana Court of Appeals recently took on the divorce case of a well-educated couple who married in 1995 and had two children. The husband, a tenured professor at Purdue University and the wife, a chemical engineer with a master’s degree in business administration, were in the process of separating in 2014 after nearly 20 years together. Abused its discretion by imposing a gag order on the husband with regard to the wife’s medical conditions and treatments. Ultimately, the court affirmed in part, reversed in part, and remanded. Wife had not been employed outside the home since 2002, and their first child was born in 2004, followed by their second child in 2007. In 2006 and 2008, Husband inherited property from his parents in Germany. He sold and invested the proceeds in several German bank accounts. Throughout the marriage, the husband had made various deposits into those accounts, including money the family later used to finance visits to Germany. Husband filed for divorce in 2014. Shortly before doing so, he made a number of large withdrawals from the couples’ joint bank accounts. Less than a month before filing his petition for Indiana divorce, the husband transferred $280,000 from a joint account into the children’s college savings accounts without his wife’s agreement. He also reportedly used marital assets to cover the family’s living expenses while the petition was pending, even though his salary was sufficient for this purpose. He incurred approximately $66,000 in capital gains taxes as a result. The trial court ordered Husband to pay the taxes, but otherwise divided the marital estate equally, including those German accounts. The court also ordered Husband to make spousal maintenance payments to his wife until the end of 2015 and to refrain from any public mention of his wife’s medical conditions and/or treatments. The appellate justices declined to find that the court abused its discretion in equally dividing these assets. On the issue of requiring him to pay the capital gains taxes, the court noted the husband withdrew ten times the amount of money his wife did from those accounts before the divorce filing, and she did not have access to other sources of funds (i.e., income) that he did to cover living expenses while the petition was pending. The trial court had found that the husband needlessly liquidated marital assets and in the process necessitated his wife incurring attorney fees. The trial court had found Husband inappropriately disposed of marital assets, so requiring him to pay the $66,000 tax incurred was not unreasonable – even when it resulted in an uneven distribution of assets. On the issue of spousal support, the court found there was sufficient evidence to support the need for these payments, even despite Husband’s arguments that Wife hadn’t proven she was unable to work. On the issue of the so-called gag order, the court found no abuse of discretion. The one issue the appellate court took issue with was the erroneous two-time inclusion of the value of a single vehicle in the accounting of the marital estate, and the court ordered a correction for that. As our Indiana divorce lawyers can explain, any time you are planning a divorce, it’s best to discuss your financial plans with an experienced attorney to avoid the kind of penalties this plaintiff incurred. 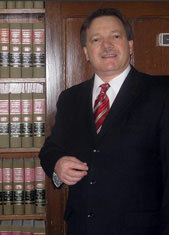 Indiana Family Law Attorney Burton A. Padove handles divorce and child custody matters throughout northern Indiana, including Gary and Hammond. Call Toll Free 877-446-5294.